Gilano is a one of the leading Pakistan Dates Exporters and they can provide Best Quality Aseel Dates from Pakistan. Firstly, Best Quality Aseel Dates are enriched with natural vitamins that keep you fit and healthy. 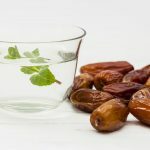 Secondly, Aseel Dates are famous for their sweetness and delightful taste. Thirdly, these Organic Dates are the best among the Pakistani varieties of Dates. Therefore, special dishes, bakery products, ice creams and desserts uses Pakistani Aseel Dates for enrichment, taste and nutritional values. Aseel Dates are of prime quality grown in Sindh Province. These Dates are semi-dry with a dark brown skin. These are oval shape, larger in size and hence plenty of meat. As a result they possess a delicate flavor, and are firm-textured in appearance. This variety has high invert sugar. Therefore, mainly used for ingredient/formulation applications. 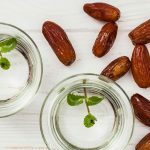 Pakistan is the major producer of Best Quality Aseel Dates in world dates market. Therefore, its production makes up to 90% of Pakistan’s total date crop. These are harvested from August 1 to August 31. Aseel Dates plantation in Pakistan is mainly clustered in District Khairpur of Sindh Province. We have dedicated a large portion of our Dates Farm for producing Organic Dates. We pick our special product Organic Dates from our Dates Farms. Than these are processed at factory plant, located in District Khairpur, Pakistan. 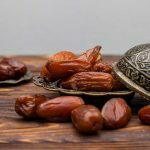 In conclusion, our Organic Dates are offered to selective exporters in different forms and shapes like Pitted Dates, Unpitted Dates, Whole Dates, Half Dates, Quarter Dates & Chopped Dates. Gilano Dates is one of the leading Dates Exporters & Supplier deals in Pakistan Fresh Dates. That includes Best Quality Aseel Date, Premium Begum Jangi Dates, Balochistan Rabbi Dates & Turbat Mix Dates. Copyright © 2010-2019 Gilano Trading Company. All Rights Reserved.